To progress road safety education and awareness through engineering innovation that delivers truly effective training solutions. Driver training session in a high-fidelity simulator. Engineering Solutions is a technical development company established in 2010 in the Qatar Science and Technology Park (QSTP) in Doha. 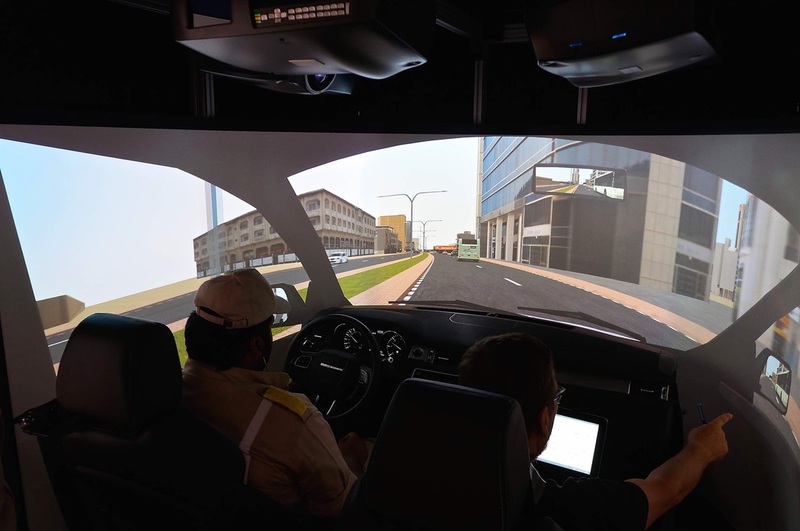 The Road Safety & Driver Training division of Engineering Solutions is a turnkey technology provider and long-term partner for the simulation, training and road safety industry. Our focus is on products and services that enhance driver training, with safe driving behaviours central to everything we do. We design highly advanced and targeted solutions to cater for the simulation and training needs of fleets, taxi companies, government/traffic departments, research & development institutions, driving rehabilitation centres, construction and oil & gas sites. We work in partnership with local and international professional driving instructors who are intimately involved and pivotal to the design of our highly effective and high-fidelity simulation solutions.